EN PESCAPROFESIONAL, ORGANIZAMOS TODO TIPO DE VIAJES DE PESCA DEL SILURO EN ESPAÑA, TAMBIEN OTRAS ESPECIES DEL RIO EBRO, EMBALSE DE MEQUINENZA, COMO GRANDES CARPAS, LUCIOPERCA Y PERCA FLUVIATILIS. 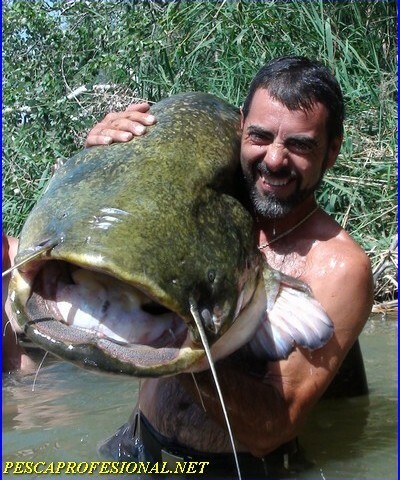 NOSOTROS NOS ENCARGAMOS DE TODO, PARA FACILITAROS LO MAXIMO POSIBLE VUESTRA AVENTURA DE PESCA. 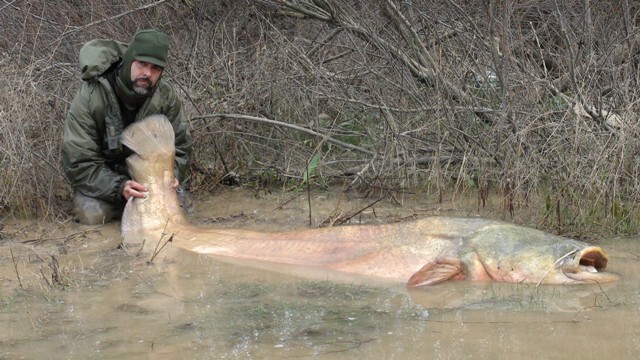 LA PESCA DE LOS GRANDES SILUROS DEL RIO EBRO ES LA MAS DEMANDADA Y CONOCIDA A NIVEL MUNDIAL. MESES MAS PROPICIOS PARA LA PESCA AL PELLETS SON: MAYO,JUNIO,JULIO, AGOSTO,SEPTIEMBRE Y OCTUBRE. NOS GUSTA SOBRE TODO QUE NUESTROS CLIENTES SE VALLAN SATISFECHOS, Y DISFRUTEN DE UN INOLVIDABLE DIA DE PESCA, DISFRUTANDO DE LOS ENTORNOS DEL RIO Y DE LA PESCA DEL SILURO AL LANZADO Y PELLETS. ◾NUESTRO TRATO ES SIEMPRE MUY PERSONAL,PARA QUE NUESTROS CLIENTES SE VALLAN SATISFECHOS DE UNA BONITA JORNADA DE PESCA EN EL RIO EBRO. ◾RECOGIDAS EN ESTACION DE TREN,AEROPUERTO,ALOJAMIENTO Y TRANSPORTE AL ESCENARIO DE PESCA Y RETORNO AL SITIO. ◾EN LAS RECOGIDAS A ESTACION DE TREN O AEROPUERTO CONSULTAR PRECIOS. ◾SE PROPORCIONA ALOJAMIENTO EN LA ZONA DE PESCA EN CONSONANCIA A VUESTRO PRESUPUESTO. ◾EL ALOJAMIENTO NO SE INCLUYE EN LA TARIFA DE GUIA. ◾ EL SERVICIO INCLUYE TODO EL MATERIAL DE PESCA NECESARIO PARA EL SISTEMA ELEJIDO. ◾LA PESCA AL LANZADO INCLUYE LA EMBARCACION TOTALMENTE EQUIPADA Y EL GUIA DURANTE TODA LA JORNADA ASI COMO TODO EL MATERIAL DE PESCA NECESARIO CAÑAS CARRETES Y SEÑUELOS. ◾GRUPOS DE HASTA CUATRO PERSONAS POR GUIA, SIN SON MAS CONSULTAR. ◾LAS JORNADAS SERAN SOBRE LAS OCHO HORAS DE PESCA,TAMPOCO SOMOS ESTRICTOS CON LOS HORARIOS, LA CUESTION ES QUE OS VALLAIS CONTENTOS Y QUE DISFRUTEIS EL MAXIMO POSIBLE. ◾EL INICIO DE LA JORNADA SERA SOBRE LAS SIETE U OCHO DE LA MAÑANA, DEPENDERA DEL MES EN EL QUE ESTEMOS, TAMBIEN NOS ACOMODAMOS AL CLIENTE QUE SOLICITE OTROS HORARIOS. ◾LA ZONA DE SALIDA DE PESCA SERA EL PUEBLO DE ESCATRON,ABAJO OS DEJO FOTOS DE COMO LLEGAR. ◾TAMBIEN SE PUEDE SOLICITAR COMIDA PARA LLEVAR Y HACER RESERVAS PARA COMER EN DISTINTOS RESTAURANTES DE LA ZONA. ◾SE TRAMITAN LAS LICENCIAS DE PESCA, SIMPLEMENTE ENVIANDONOS UNA COPIA DEL DNI O PASAPORTE POR LAS DOS CARAS Y EL CODIGO POSTAL.